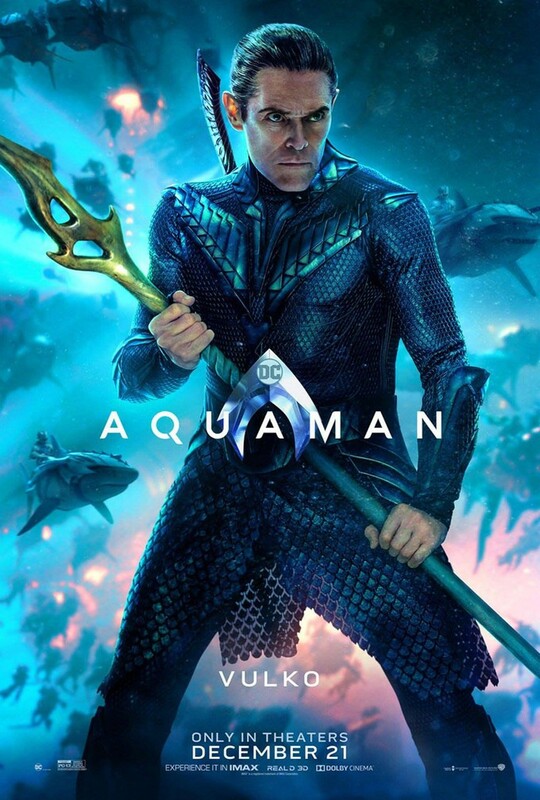 Today all you aqua-lads and aqua-ladies will be happy to see seven new posters for the upcoming "AQUAMAN" film! 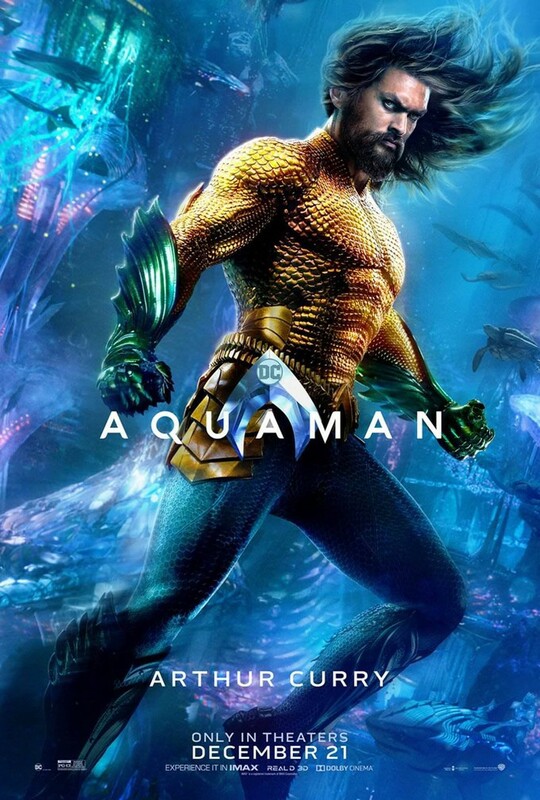 Above we have Arthur Curry aka Aquaman (Jason Momoa) in the old school orange and emerald green scaled attire to the delight of DC geeks worldwide! 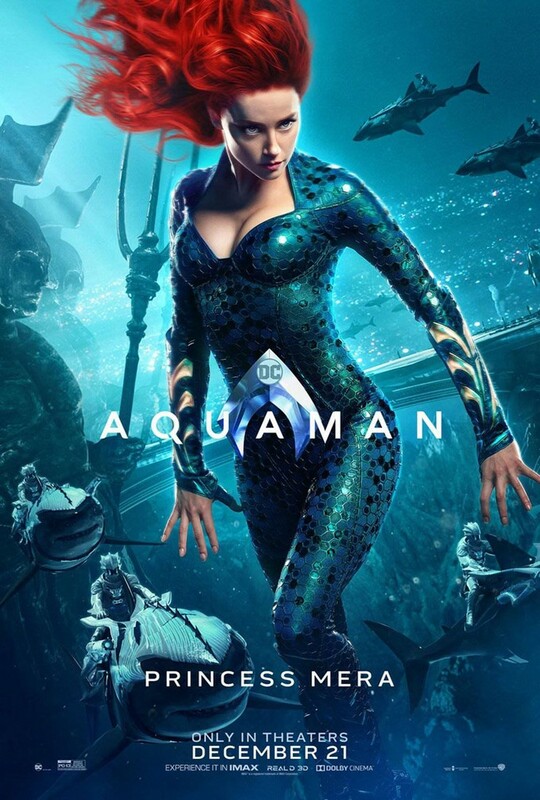 Next up we have Mera (Amber Heard) with her vibrantly technicolor scarlet hair. 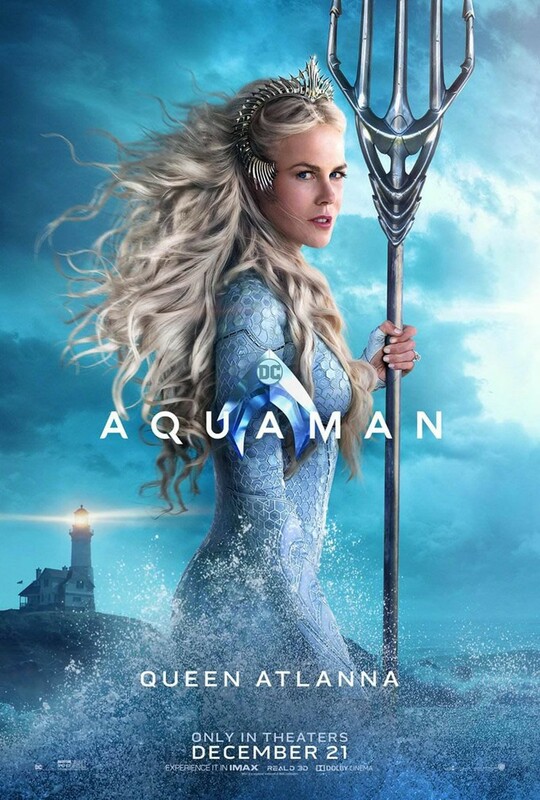 Here below we have Aqua-Mommy aka Queen Atlanna (Nicole Kidman) looking as majestic as ever. Striking a very intensely focused and defensive pose, we have Nuidis Vulko (Willem Dafoe) pictured below. 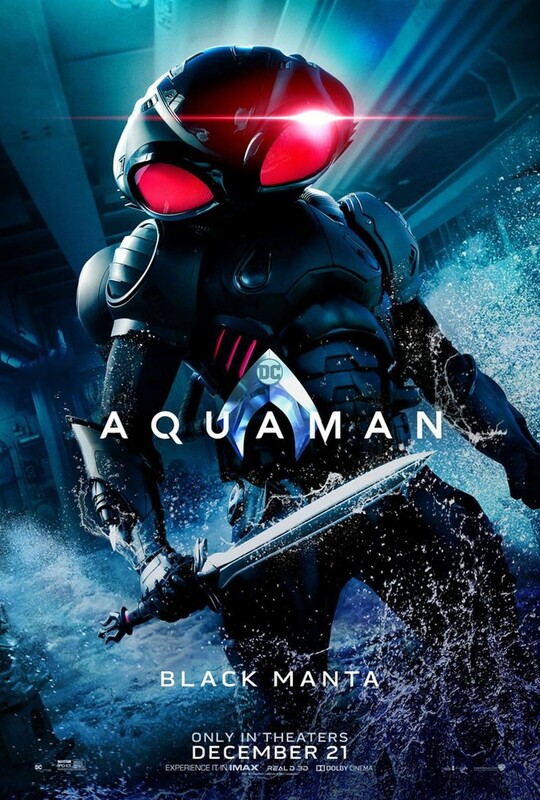 Following Vulko we have David Kane aka the Black Manta (Yahya Abdul-Mateen II) looking like the comic based arch nemesis jumped right of the pages of DC's classic comics. Ocean Master, King Orm (Patrick Wilson) is ready to bring havoc to the dirt dwellers! 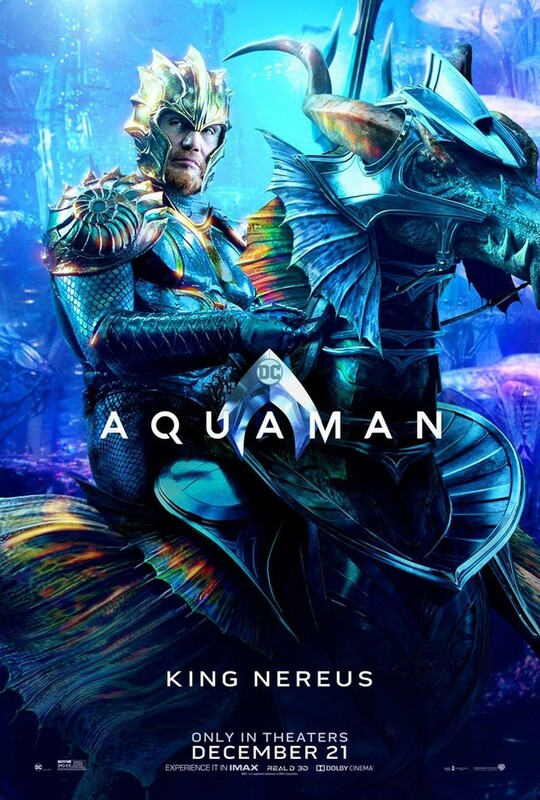 And lastly, we have the poster I am geeking out over, King Nereus (Dolph Lundgren) riding upon a giant seahorse! I love how they embraced color with these posters. 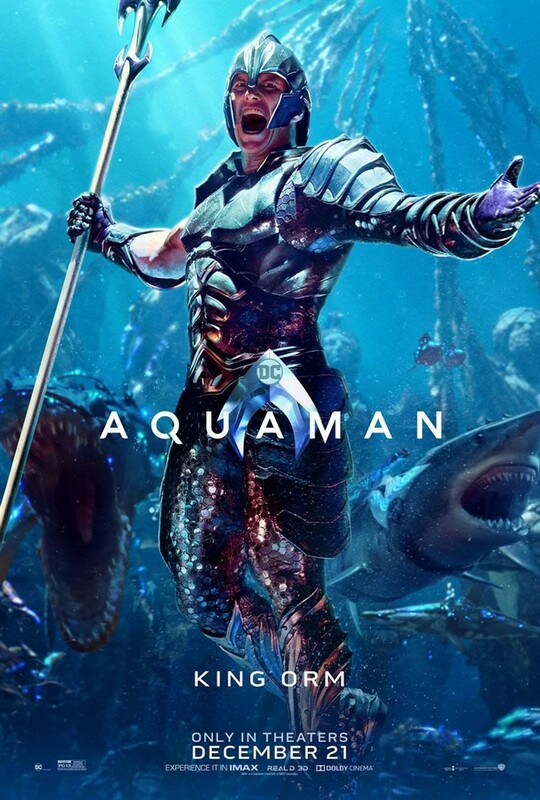 I am praying to all the gods an goddesses of the oceans grand that this Aquaman film will take over the box office, imaginations, and the hearts of children and critics alike. Please be good, please be good, or by Poseidon's beard, ye shall pay! What do all of you out there in Geeklandia think about the fanciful and colorful pieces of DC memorabilia? How many of you will be in line on December 21st?